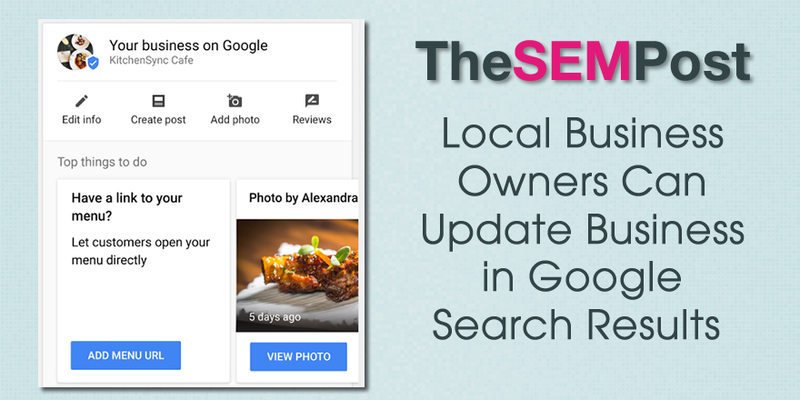 Google has just made it a lot easier for local business owners to update their business listings. 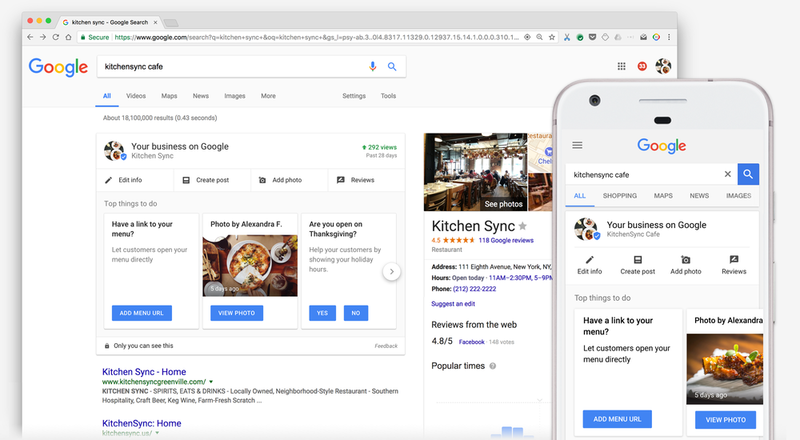 The local listings can now be updated directly from the Google search results. Previously, site owners had to login to Google My Business in order to make changes to their listings, such as contact information or updated hours. This change means they just need to do a Google search for their business and then edit directly in the local knowledge panel instead. It allows updates to be done on both desktop and mobile, with easy links to add menus, photos, check and respond to reviews and add opening hours. It also adds support for the new Google Posts for businesses, making it easier to add those as well. This only works for those who are logged into their Google account that has that business verified in Google My Business. And as the screenshot notes, only the business owner (and those verified for the business) will see the added box at the top of the search results. This is a great addition for local business owners to easily update their listings and it also helps Google to ensure those listings are updated and accurate for searchers.